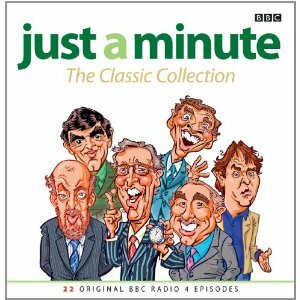 we present PAUL MERTON, KENNETH WILLIAMS, DEREK NIMMO, CLEMENT FREUD, PETER JONES, and your chairman NICHOLAS PARSONS! With frequent guests Pam Ayres, Gyles Brandreth, Marcus Brigstocke, Julian Clary, Alun Cochrane, Charles Collingwood, Barry Cryer, Jenny Eclair, Steve Frost, Stephen Fry, Sheila Hancock, Tony Hawks, Kit Hesketh-Harvey, Josie Lawrence, Aimi Macdonald, Andree Melly, Chris Neill, Ross Noble, Graham Norton, Sue Perkins, Tim Rice, Wendy Richard, Tony Slattery, Linda Smith and Liza Tarbuck! And as created and devised by IAN MESSITER! Welcome to this tribute to a famous BBC comedy programme which is as old as me! I hope you enjoy looking round it. Join my mailing list and get new transcripts emailed to you (dean@just-a-minute.info). I last updated this site on 22 November 2017.